I'm getting down with this boozy trend because I'm a typical white girl and it's delicious. Pour the bottle of rosé into a large Ziplock bag, place in a bowl or on a tray (just in case it leaks) and place in the freezer for 8 hours, or overnight. In a small bowl, stir together sugar and boiling water until sugar has dissolved. Place in the fridge until cooled. 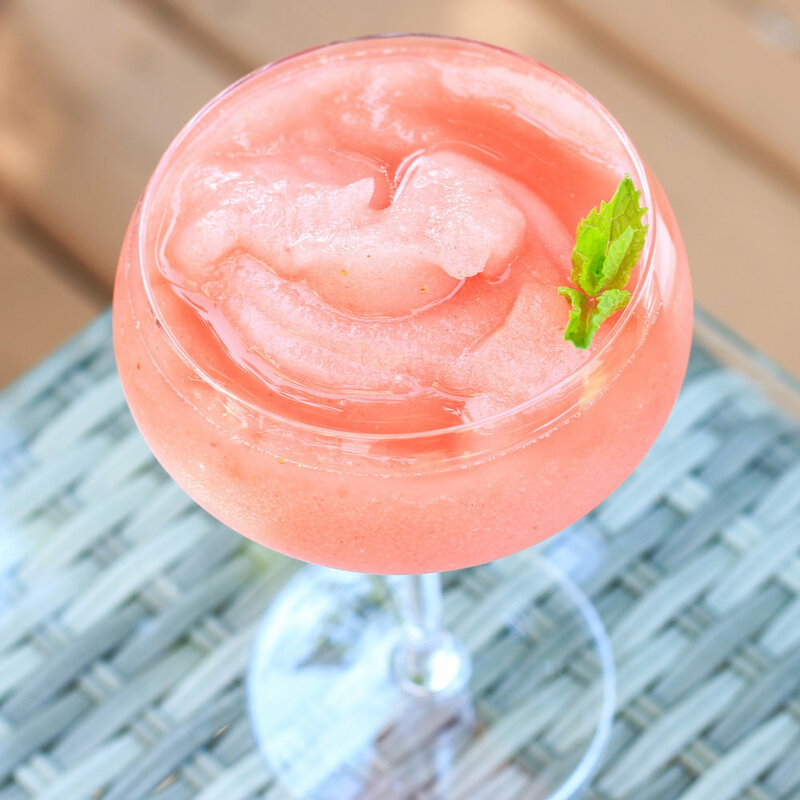 Place the frozen rosé, simple syrup (the sugar water you made), lemon juice and frozen strawberries in the blender. Blend until smooth and serve with a sprig of mint. If you are anything like me and are trying to get as drunk as humanly possible, add a couple of shots of vodka in before blending.